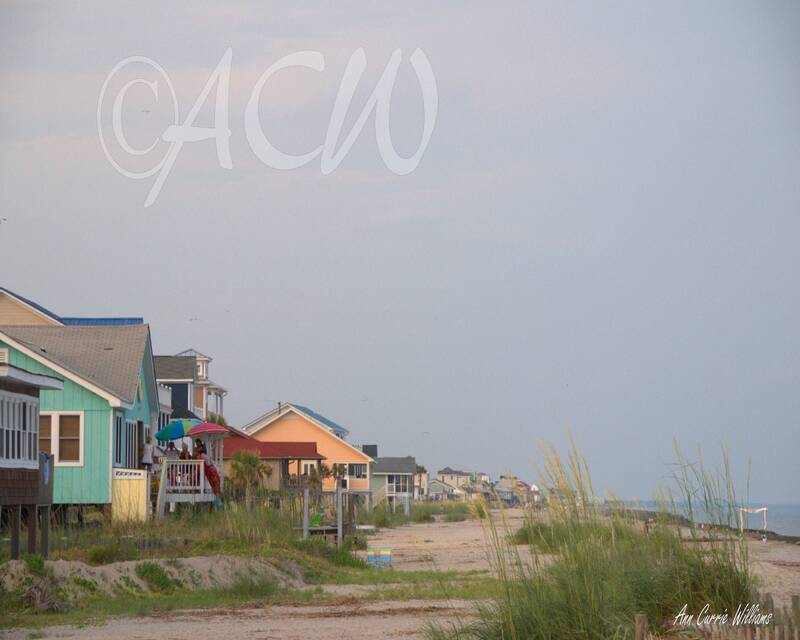 Beach on the front beach of Edisto Beach South Carolina. Each one a different color. A color photograph.